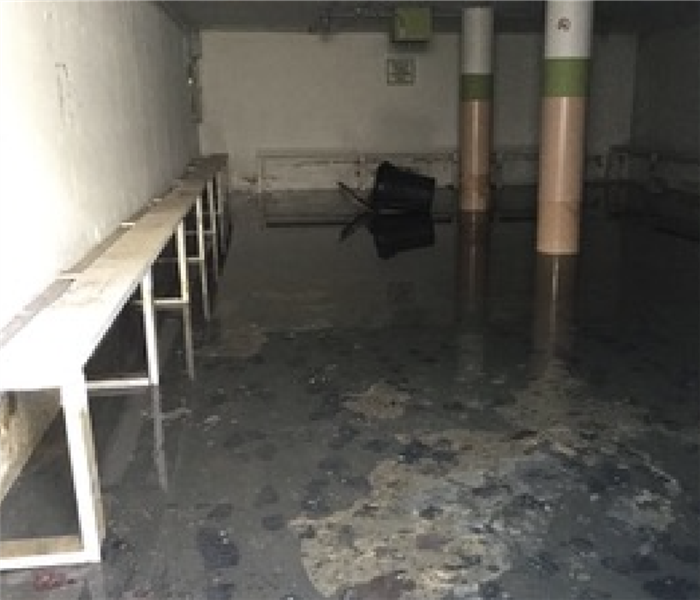 Water damage is very common for fire damaged businesses and commercial properties. When a fire strikes a building or facility, they usually have a fire suppression system that floods the building. Water damage my seem like a larger problem but it is easier to restore than a burned up property. A fast response to a fire and water damaged building will save your company time and money. Every hour cleaning is an hour lost of productivity. Starting early in the cleaning process is the best way to get back to normal business. SERVPRO of Northwest Wichita is faster to any size disaster. SERVPRO of Northwest Wichita has the training, experience, and equipment to handle large commercial fire damage emergencies. Whether your fire emergency occurs in a restaurant, motel, or office building, we will respond quickly to mitigate the damage and manage the restoration project through to its completion. Learn more about SERVPRO of Northwest Wichita training and certifications. SERVPRO of Northwest Wichita can respond immediately to your commercial fire damage emergency regardless of the size or scope of the damage. We are part of a national network of over 1,700 Franchises with special Disaster Recovery Teams placed strategically throughout the country to respond to large scale events and disasters.